Florence | Let's Go for a Trip! I love Florence, it’s such a beautiful city. The Historic Centre of Florence (a World Heritage Site by UNESCO) attracts millions of visitors every year. 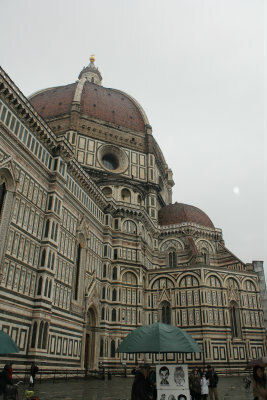 At the centre of it is Piazza del Duomo and the Cathedral of Santa Maria del Fiore. To the north of Duomo, within walking distance, you will find Accademia Gallery which house Michelangelo’s sculpture David. 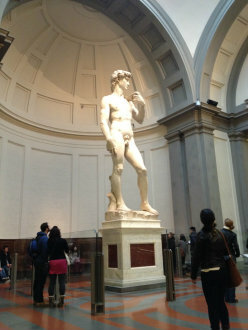 This is the original sculpture, there is a replica of David in the Piazza della Signoria. 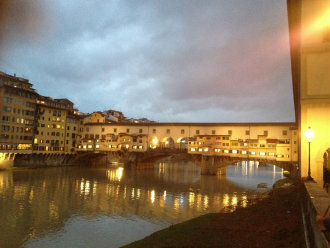 If you head south from Duomo, you will come to Palazzo Vecchio, Ufizi Gallery and Ponte Vecchio. A lovely walk along the south side of River Arno upstream will bring you to Torre San Niccolo, an old tower of the now destroyed medieval city walls which you can see jutting out over the rooftop from afar. Follow the looping ramps will bring you to Piazzale Michealangelo where you can see a beautiful panoramic view of Florence.